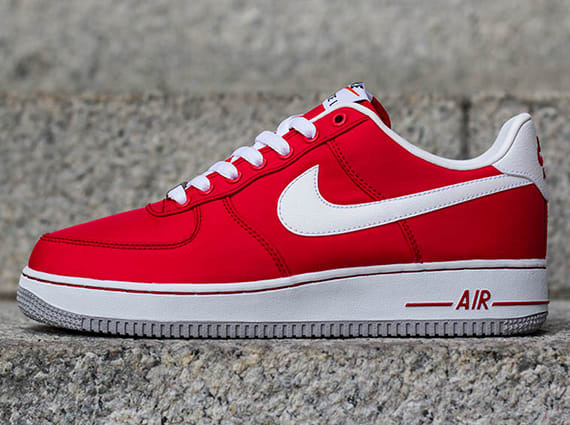 Nylon drapes this new colorway release of the Air Force 1 Low from Nike Sportswear. The classic silhouette showcases a fierce red upper, contrasted over-top by white branding, which in turn matches the laces, lining, heel padding and midsole accordingly. Grey shading then takes care of the outsole of the sneaker, which can be picked up today through select Swoosh shops such as Titolo.